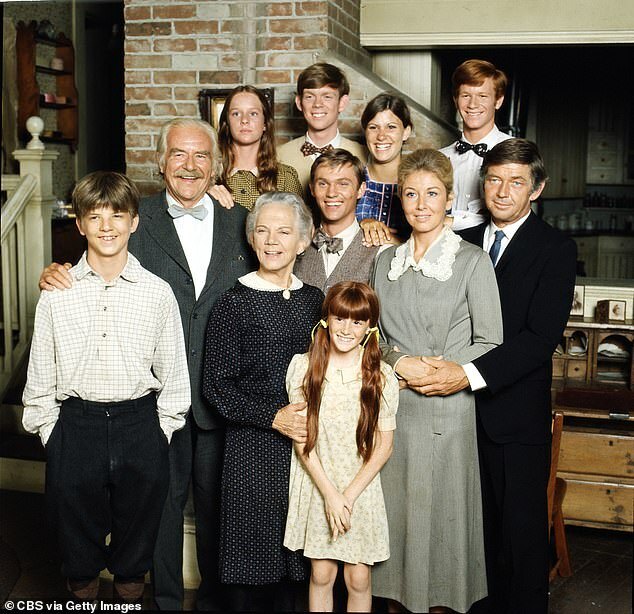 They became famous as America’s most perfect husband and wife on TV’s The Waltons – the close-knit rural family whose struggles through the Great Depression and World War II ran for nine seasons and multiple TV movies. 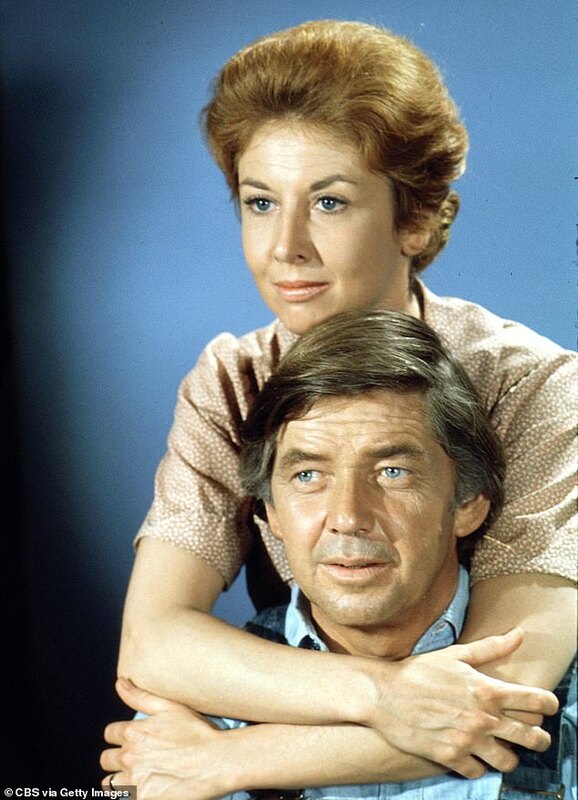 And viewers often wondered whether the obvious on screen chemistry between actress Michael Learned and screen husband Ralph Waite ever spilled out into real life during the show’s more than 10-year run. Now for the first time in almost four decades, veteran actress Learned has revealed the truth behind their close relationship and told how they did almost become lovers. In an exclusive interview with DailyMail.com on the fifth anniversary of his death, Learned, 79, reveals that she and Waite ‘were in love’ off screen and they even went on a date. But the pragmatic pair decided during their first intimate meeting that they probably shouldn’t pursue a romance as it could ruin the famous show and ‘get messy’. 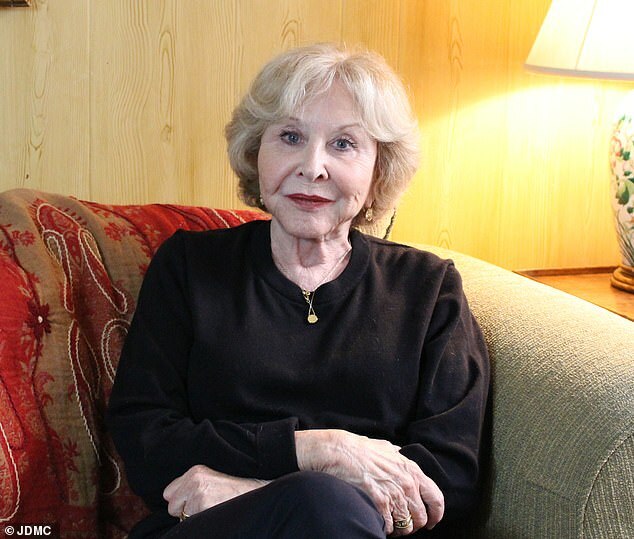 In an emotional interview reformed alcoholic Learned also reveals how Waite ‘saved her life’ as her heavy drinking – mainly bourbon and wine – ran out of control during the early years of the CBS series. Speaking ahead of the fifth anniversary of Waite’s death on Wednesday, Learned said: ‘We had a deep love for each other that we would have ruined if we had taken it that extra step, and we didn’t. ‘We never did. We thought about it, but we didn’t. ‘And I think that’s why we became a spiritual husband and wife if you will, and I miss him terribly. His wife is a very good friend. Admitting she was ‘going to tear up’, she added: ‘He was a complicated man. He had a lot of issues. He lost a daughter from leukemia and I think that’s when he started drinking. ‘He was a minister before he became an actor. ‘He had so many colors to his life and his character and he was deeply honest with himself and God conscious I think, and complicated. And because we remained the kind of friends we remained, none of that bothered me. ‘But if we’d been married or something, I might have had a problem with his complicatedness and he might have with mine. Learned, 79, revealed that she and Waite, 85, remained very close up until his death from old age on February 13, 2014, thanks to their bond working on the show. Tens of millions of fans believed they were the perfect couple raising their family in depression hit Virginia. But off screen the passion burned strong too. Learned recalls how there was ‘instant chemistry’ with her and Waite at their audition, which was her first ever screen try-out. She says she somehow landed the dream role of Olivia despite concerns from some male executives at CBS feeling she was too young for the job. And it also prompted the pair to explore their feelings further off screen. ‘We thought about it. We did,’ Learned told DailyMailTV, a smile opening up across her face. It might have gotten messy, but our love was very deep and very true. ‘Thankfully, we had the good sense to not take it the next step, because I think it would have gotten messy. It might have gotten messy, but our love was very deep and very true. 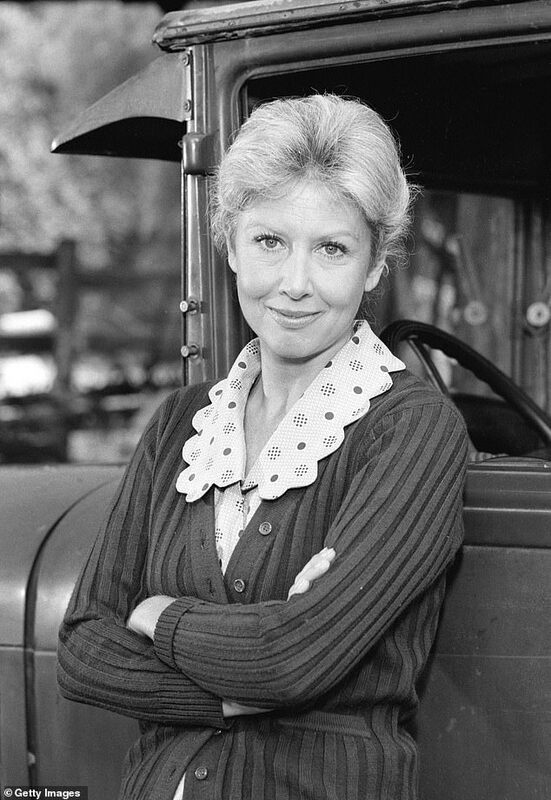 Learned said that while the hit show – famous for its much imitated ‘Goodnight John Boy’ closing sequence where each member of the family says goodnight to the others – brought so much joy to audiences in the 1970s, she was ‘in pain’ playing beloved TV character Olivia. 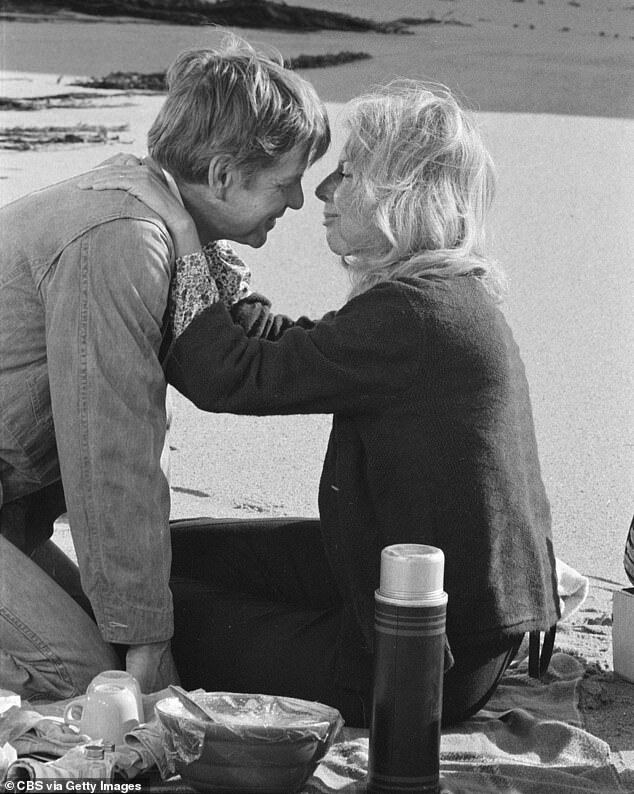 In 1971, at the age of 32, the actress realized that she had become an alcoholic and her problems would have intensified over the years were it not for the love and support of screen husband Waite. She admits that he saved her from becoming much worse. ‘I was drinking heavily when the show started and Ralph saved my life, really,’ Learned explains. ‘He pointed out that he thought that I was drinking too much. I didn’t think I was, but he thought I was and I haven’t had a drink in 42 years of anything alcoholic and it is because of Ralph, and I think I was on the way. Learned says her drinking was fueled by the dramas of a divorce from abusive first husband Peter Donat, which led to depression. ‘I was going through a divorce and I grew up in a family where, like in Europe, people drink and they enjoy drinking and that was in my family. ‘But I was drinking for the wrong reasons. I was drinking because I was sad, and depressed, and all the wrong reasons, and Ralph was the one who said, ”You have a problem.” And I said, ”No, I don’t. I can stop,” which I could. ‘But I wasn’t hiding bottles or doing any of that stuff, nothing in the morning and certainly not when I was working. ‘But at night, I’d pour myself a drink and then sort of freshen it up. It’s not who I am, I don’t enjoy it; I don’t like that feeling. I like to have my feet on the ground pretty much. Learned went on to marry four times in total before finding long-lasting happiness with lawyer John Doherty, whom she married in 1988. The couple live together in California to this day. She says that during her glittering career she was proud to be a major part of modern pop culture in The Waltons. And she feels the show should be shown at every school in America to help children learn about history and family values – something which she says has been lacking in recent years. 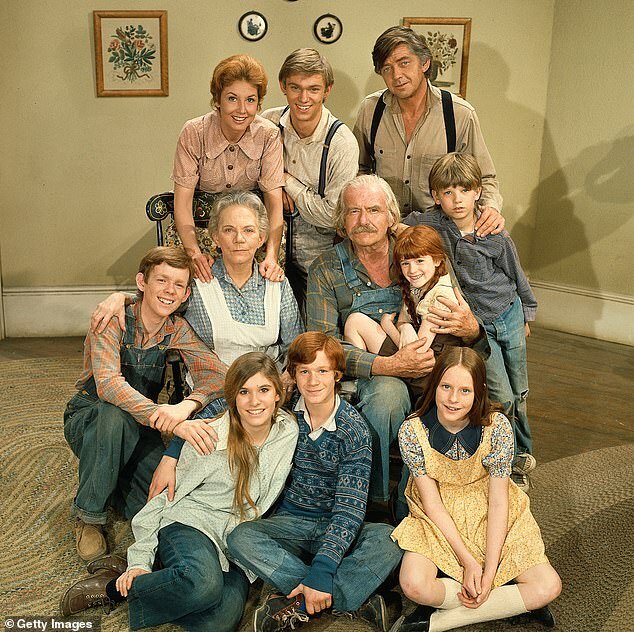 The show became such an example for American family life, that even President George Bush once said in a speech in 1992 that he wished to make families in the United States ‘more like the Waltons and less like the Simpsons’. The classic show earned two Golden Globe Awards as well as an Emmy Award for outstanding drama series and is still repeated on TV around the world. 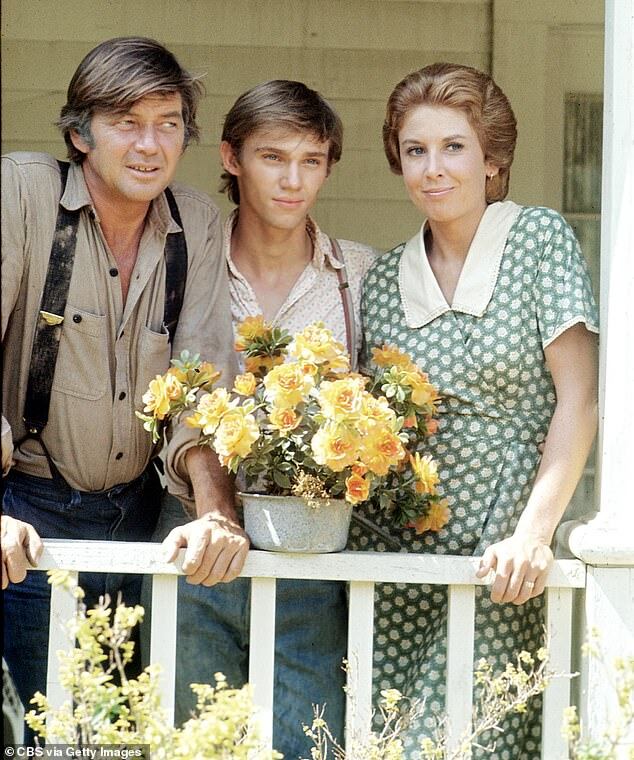 Learned says The Waltons ‘resonated’ with families who ‘related on an emotional level’ to what they watched on screen. The star reflected on her amazing career as she prepares to collect the TV ICON award at the biggest Oscar night party in Hollywood – the 4th Annual Roger Neal Oscar Viewing Dinner – which will take place on Oscar Sunday, February 24 at the World Famous Hollywood Palladium. 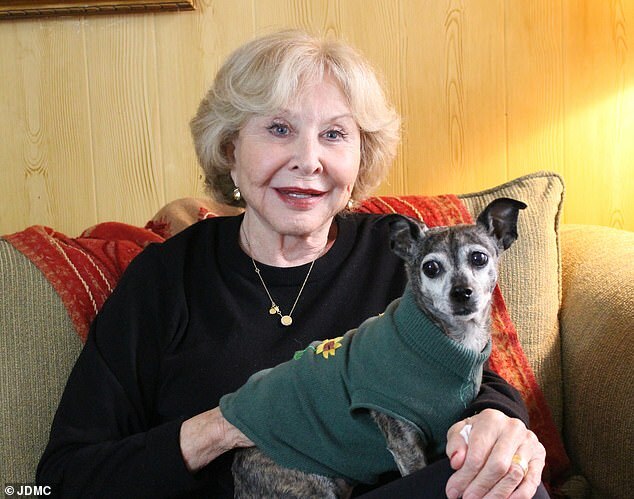 Learned, who won three Emmy Awards for playing matriarch Olivia, also reflected on her career as she plots out a memoir which she hopes will be released later this year. While crediting her chemistry with Waite – who played her screen husband John Walton Snr – for the success of the show, she also speaks of the incredible chemistry the pair had with their seven screen children. ‘Ralph and I did become like mom and dad, really,’ she said. ‘We were the set mom and dad for the kids. They didn’t necessarily come to us with their personal problems, because their parents were there as well. The mothers were there usually, or guardians. But we were like a family. When we shot, we kidded around and the kids would be throwing salt, and Kami would be making little designs with the salt on the table and kids were throwing mashed potatoes at each other. ‘They were grueling those family scenes, but the lightheartedness, and especially Eric Scott was always cracking jokes, or trying to flirt with me in a very sweet kind of way. ‘Kami Cotler, who played Elizabeth, I just did Driving Miss Daisy at Laguna Beach, she came down to see the show. And Mary Beth and I are in touch all the time and John Walmsley and Eric Scott, we text all the time, and the producers as well. ‘I’m going up to Santa Fe to see one of the producers, Claire Peterson. ‘We’re very close friends. I was difficult and the fact that we’re still such close friends is amazing. It speaks highly of her, because I was difficult about the scripts. Learned also admits she regularly clashed with show writer Earl Hamner Jr, who based the show on his own experiences growing up in Schuyler, Virginia. She felt that he idolized his mother: ‘Nobody likes a perfect person. Do you like a perfect person? Nobody. God knows I tried for years and it didn’t work. So Olivia was almost too ideal. Earl was so afraid of hurting his mother’s feelings that she was too idealized. Tragically Learned recalled how she last saw Waite just a few weeks before his death. ‘The last time I saw Ralph, I’m trying to think, he was failing, but he came to see me in something. 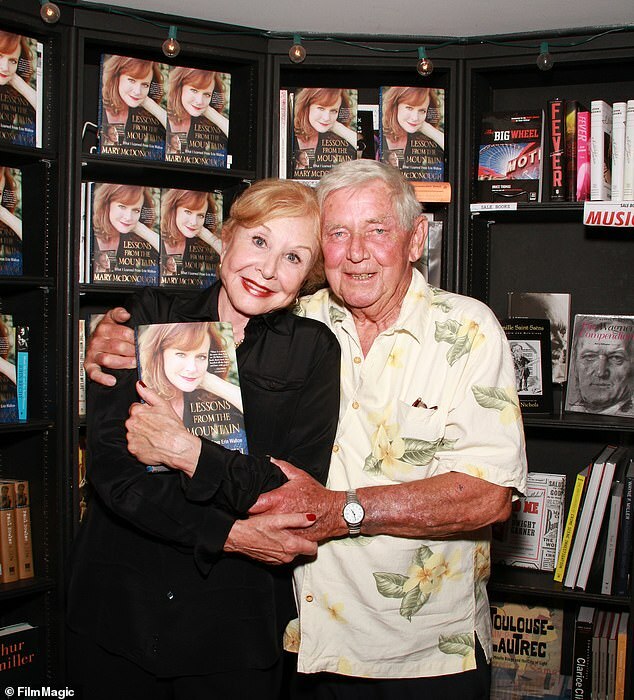 Roger and Lynn Neal, Founder and Chairman will honor Learned at the 4th Annual Roger Neal Party at their new home The Hollywood Palladium. It’s the first time in 50 years since an Oscar party has been held there. Neal is adding an after party that will see Oscar winners and presenters stop by to celebrate their win on Oscar night. Learned will be one of many entertainment legends honored with ICON Awards at the party including winning actress Loretta Swit star of Mash, Oscar nominees Robert Forster, Margaret Avery and Lainie Kazan for Motion pictures.